The Witcher series has been spectacular with every iteration. Memorable moments as well as characters are featured. One of whom is Ciri, a major part of the entire storyline. GoodSmile Company has just announced she is receiving her own Nendoroid figure. This particular item only appears in promotional art via a post on Twitter. She appears to be wearing the same outfit seen in The Witcher 3: Wild Hunt. Her sword is depicted meaning it will be one of the included accessories. There are currently no other details to reveal. Ciri is a popular character among fans and would look great as part of any collection. 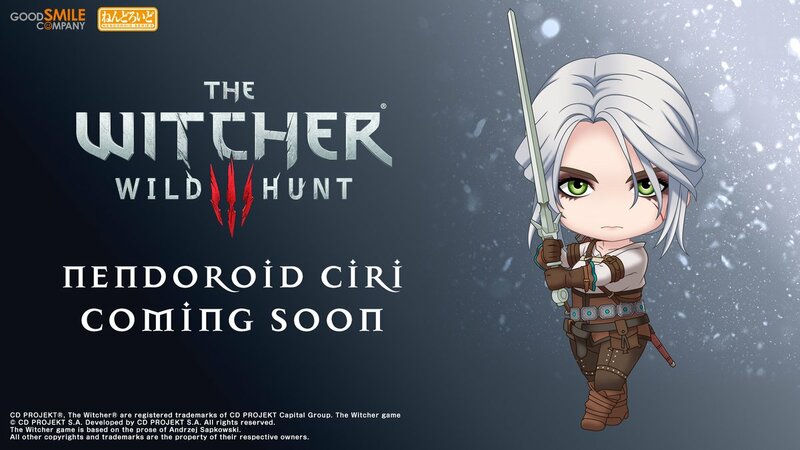 Geralt’s figure was announced months ago and should be coming out soon. It would be perfect to have them together on display!